Lisa Spector is a concert pianist, Juilliard graduate, and canine music expert. By combining her passion for music with her love of dogs, she co-created Through a Dog’s Ear, the first music clinically demonstrated to relieve anxiety issues in dogs. For the past 14 years, she has owned Lisa Spector’s Music School in Half Moon Bay, CA. She shares her home and her heart with her adorable Yellow Labrador, Sanchez, a career change dog from Guide Dogs for the Blind. Follow Lisa’s blog here. 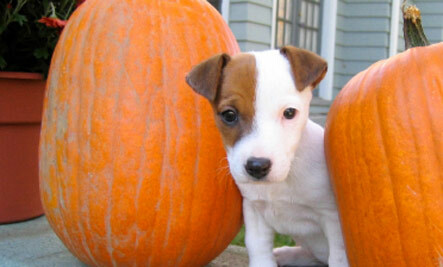 Thanks Lisa, this is a really informative article and your Pumpkin Dog Treat Recipe is certainly one to try out.